#2 best sellers in Wall Art. #3 best sellers in Home Decor. Decorative Paint Roller has 3 extension poles giving you the freedom and flexibility to extend up to 37″ for those hard to reach areas such as stairs hallways and ceilings. The roller is high quality and very durable and is guaranteed to provide a totally professional finish on textured, smooth and flat surfaces. Use it indoors or outside no problem and it will control paint flow allowing you to minimize waste economically. 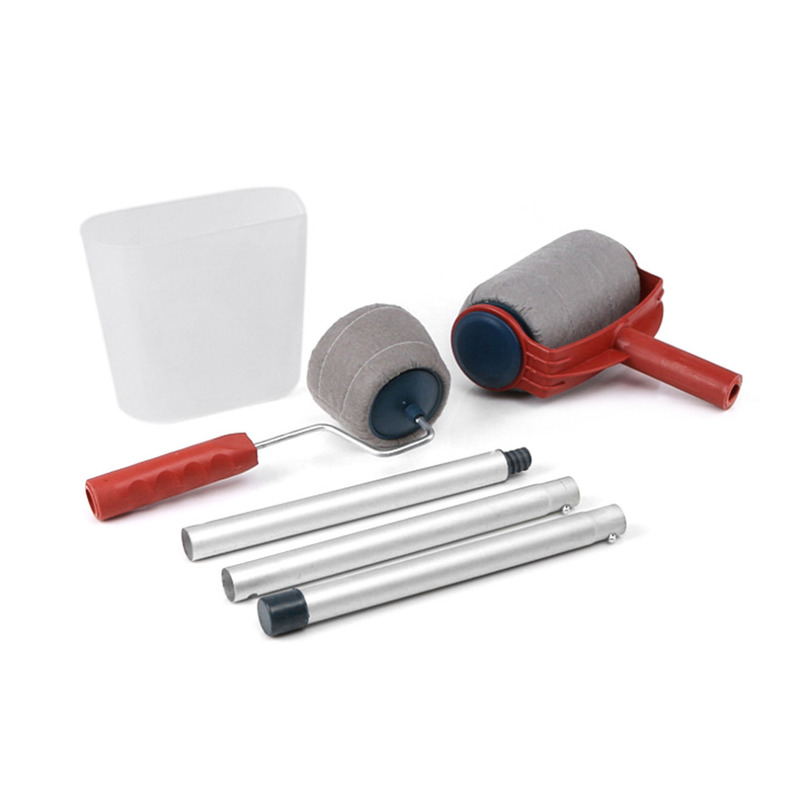 The Paint roller system holds over 1 liter of paint and you will find it simple and quick to fill using the paint jug which is included.